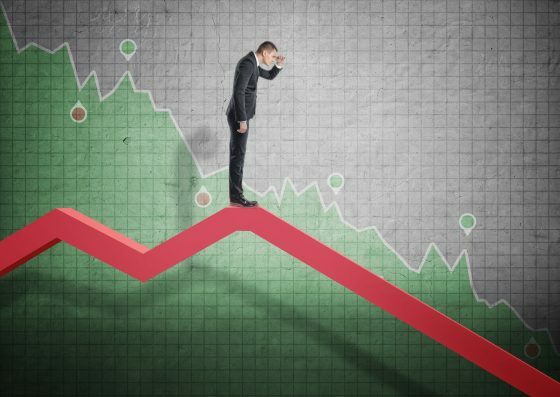 The catalyst of the next financial crisis has been identified, according to some economic analysts. The growing mountain of corporate debt, which has already forced the “retail apocalypse” will also jumpstart another financial crisis. One of the factors in the next financial crisis will be the enormous accumulation of debt by large private companies and the way these debts are used. Many have already expressed concerns about the mounting levels of debt gathered by corporations, governments, and individuals. But now that it is all becoming visible, the debt issue is alerting even the most unconcerned to the problem at hand. But some are still ignoring the obvious problem: debt. Ironically, the problems in our economy are being increasingly blamed on capitalism, which we don’t have. At best, we’ve got a system of crony corporatism and a rigged debt-based economy manipulated by central banks. Capitalism would imply that the free market is in use – taxation proves we don’t have capitalism or a free market economy. In fact, the bastion of authoritarian control on the economy, the International Monetary Fund, has even warned about the problem of mounting corporate debt. The IMF has also recently warned governments to reign in their debt before an economic meltdown, as it’s the only chance the world bank and governments have to survive and remain relevant. Because of this, we should all be taking a long hard look at our own financial situation and see where we can make the cuts necessary to begin the epic task of eliminating liabilities, aka, paying off debt. By the end of 2018, non-financial corporate debt to GDP (Gross domestic product) was 73 percent, close to levels seen just prior to the global financial crisis. In emerging markets, rising corporate debt is also a concern, the IMF noted, as borrowing conditions are easing. And the problem is global, as similar fears have been raised about China’s corporate debt levels, too, according to PYMNTS. The Financial Times reports have noted that corporates’ cash piles are fueling merger and acquisition deals, though capital expenditure has “flatlined” since 2012, making it difficult to see where debt payments could possibly come from. “We are particularly worried about the corporate sector, where leverage is rising, underwriting standards and some pockets of the corporate sector are deteriorating,” said IMF Director of Monetary and Capital Markets Tobias Adrian in an interview with CNBC, separate reports Friday said. Can’t say that I totally agree with ya Mac. Our markets are free, maybe not as free as we would like, but better than all of the countries that have succumbed to the Marxist/Islamic/ Satanic economic lies. Best ya watch out fur dem hogs son! Seminole is living in wonderland. Wish I had some of what he’s obviously smoking. Under central banking control and the constant government interference our economy is nowhere close to a free market. The US is buried in the satanic Marxist fraud. Not to worry folks, a new exchange has been created where corporate debt can be traded like stocks & bonds. When the balloon goes up on Corporate Bonds, Hedge Funds will tank and the Uber Rich investors who place their investment dollars with them will be as broke as everyone else. So many areas are overextended that I hate to make a list. It will only take the infamous butterfly taking flight at an inopportune moment for it all to collapse. BTW, I don’t care for this new look with all the extra spacing between lines. It makes this site difficult to read. Guess I could stand on the other side of the room although that makes scrolling down the page a bit difficult. Companies borrowed money at incredibly low interest rates which due to 100% fiat currency has no relationship to supply and demand. These funds were often used to buy back their stock thus deceiving the investor and public at large creating a false illusion of prosperity. Interestingly from 1935 until Bill Clinton Glass Steagall forbid such a practice. One can say that the lack of this depression era regulation upon the financial / business sector significantly contributed to the mess were in that likely has no end in sight. The financial fox has rein over the banking chicken coop.